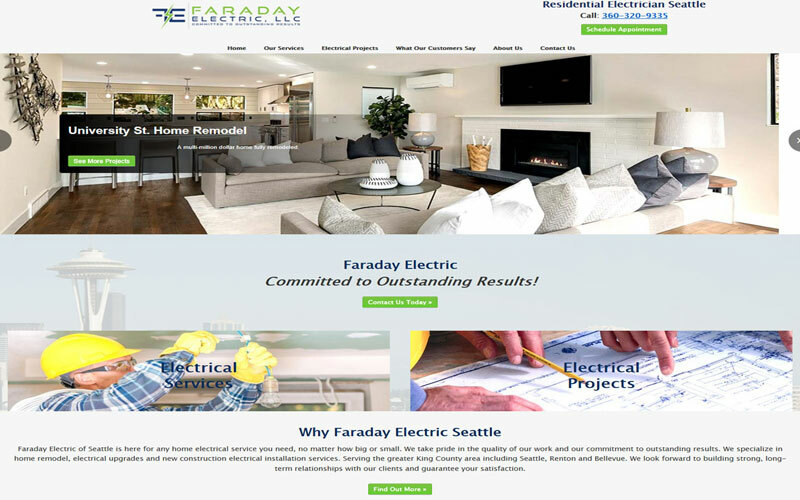 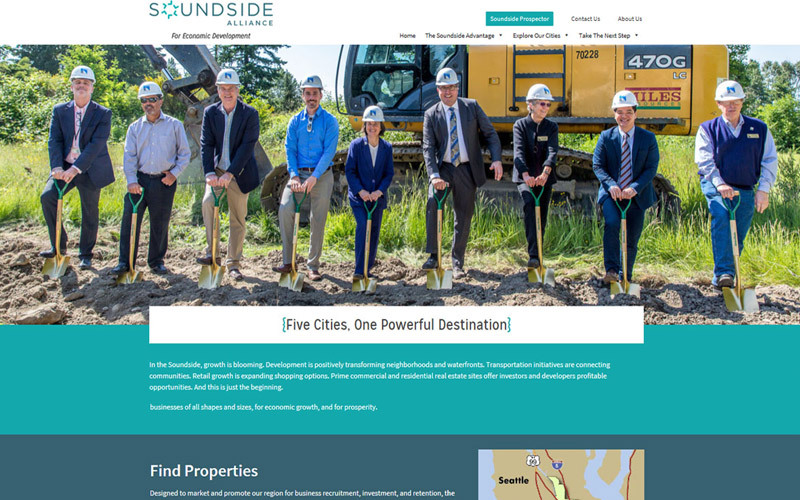 Soundside Alliance is a custom website design done in Wordpress that we upgraded to feature the five city coalition and property prospecting tool for economic development in the Seattle area. 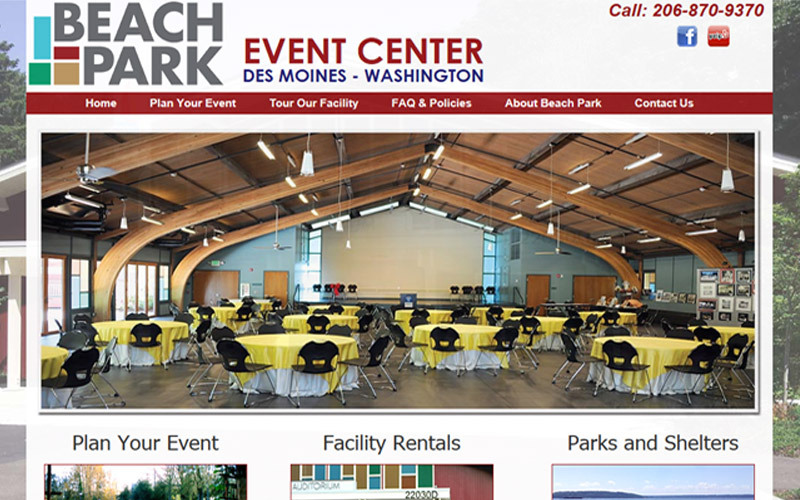 Beach Park Event Center is a custom redesign of an old website upgraded with new slide shows, facility photo galleries and detailed descriptions, historical information and online reservation system. 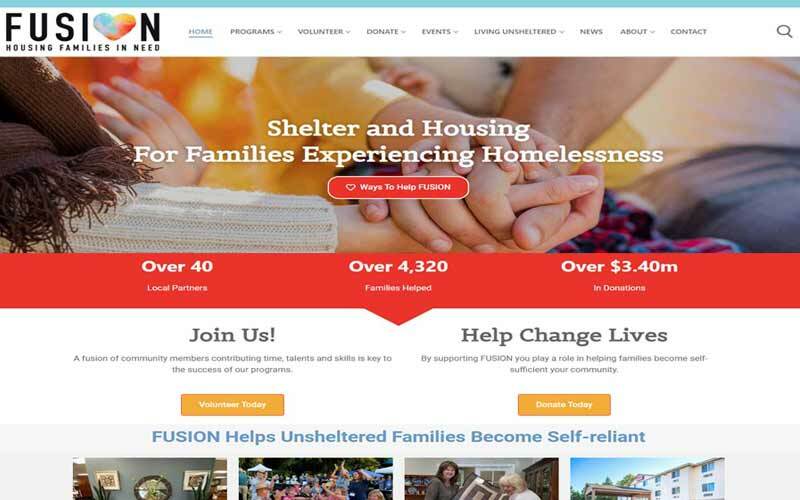 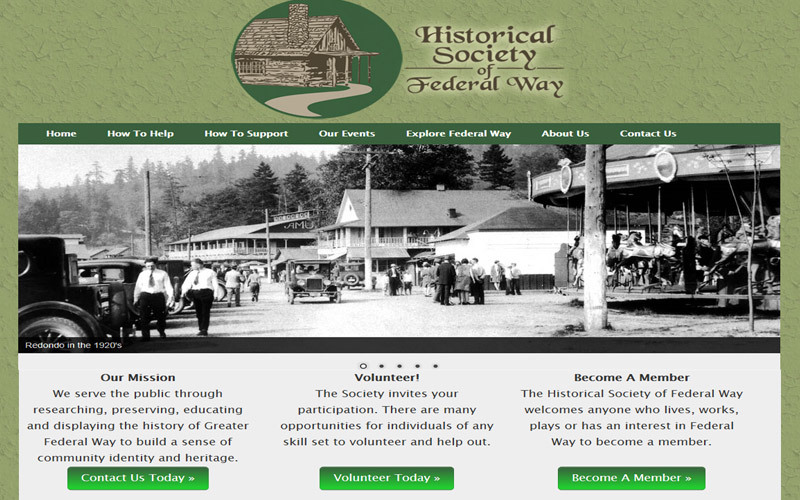 Fusion Federal Way is a full website redesign that uses the Joomla Content Management System (CMS) to update the website; it also has Pay Pal shopping cart for donations to this non-profit. 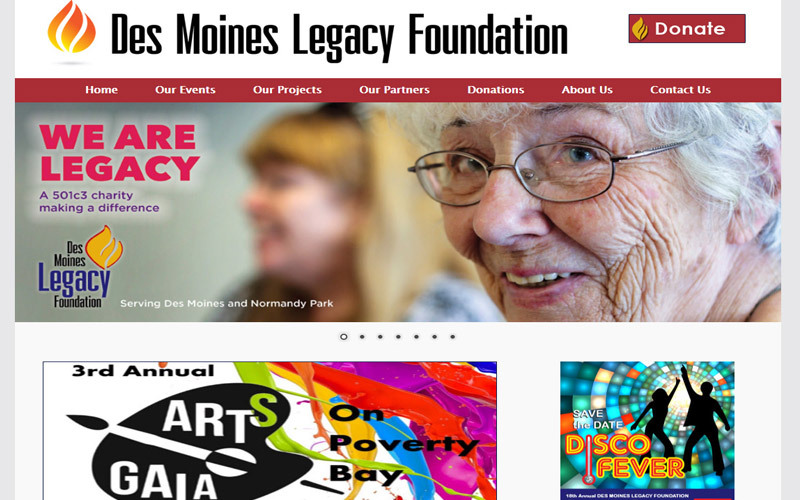 Des Moines Legacy Foundation is a local non-profit foundation that supports parks, community and seniors in the Des Moines area, this site has their events and projects plus on-line donations. 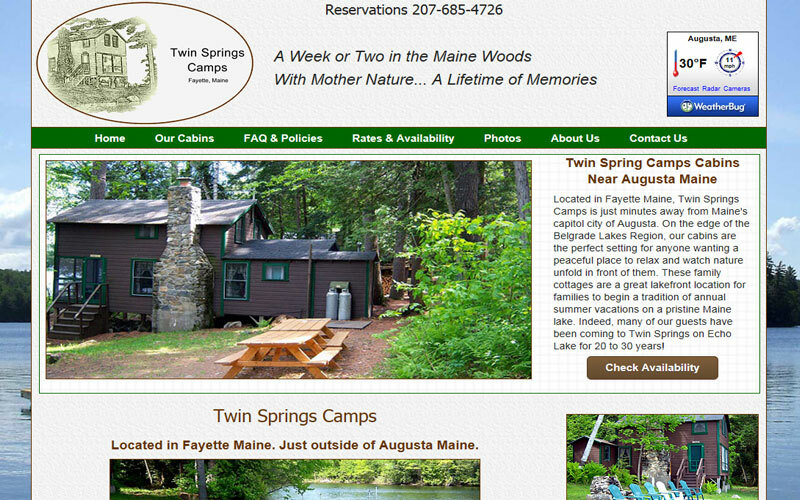 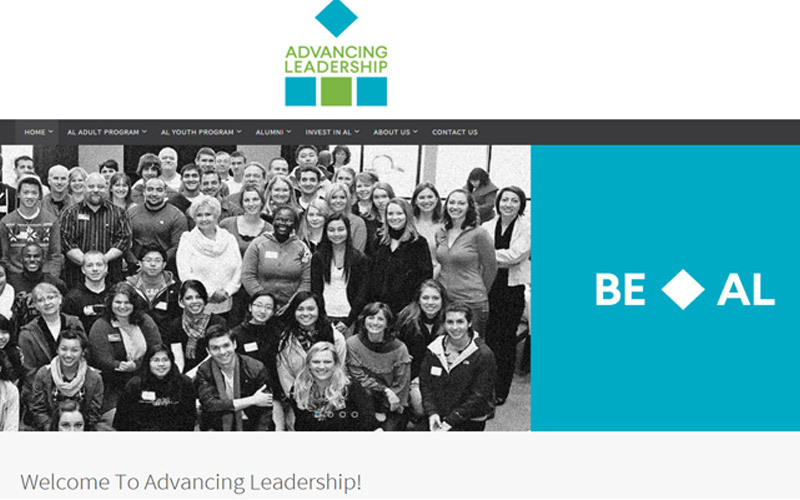 Advancing Leadership is a custom designed Wordpress theme website done for the Federal Way's youth and adult leadership non profit - a complete CMS so they can maintain the website. 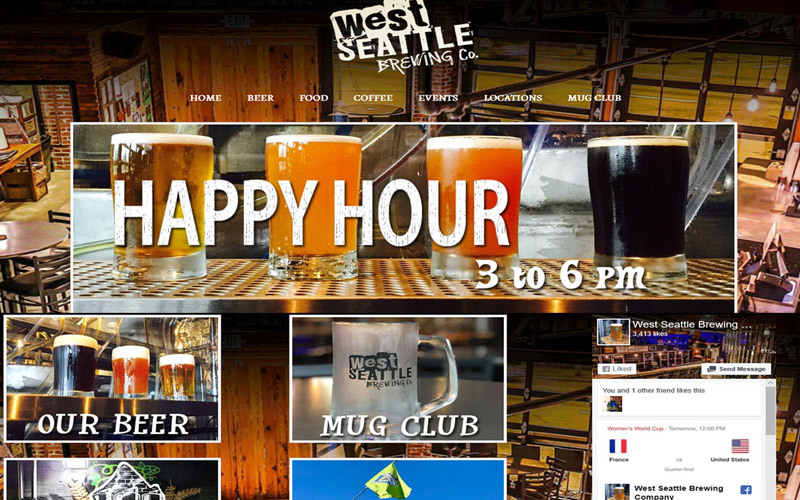 West Seattle Brewing is a custom redesigned mobile website for this two location West Seattle Brewing company and restaurants complete with events and social media. 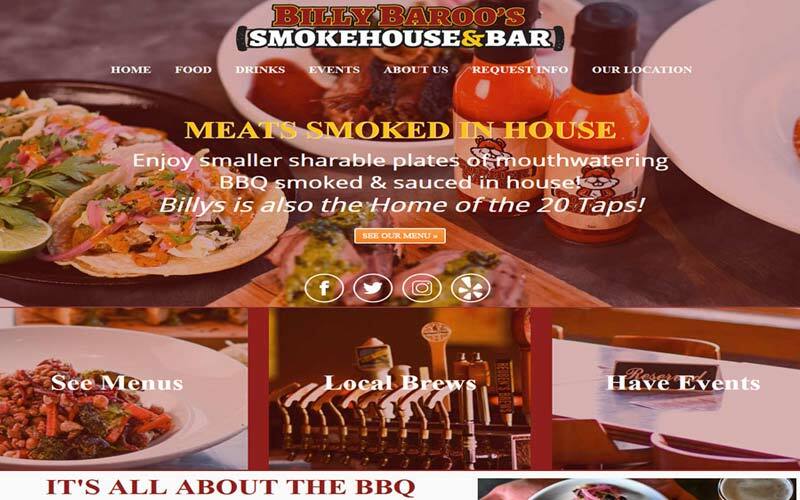 Billy Baroos Bar & Grill is a mobile redesign we completed for this unique restaurant and event space at Foster Golf Course in Tukwila complete with menus, event space information and online form. 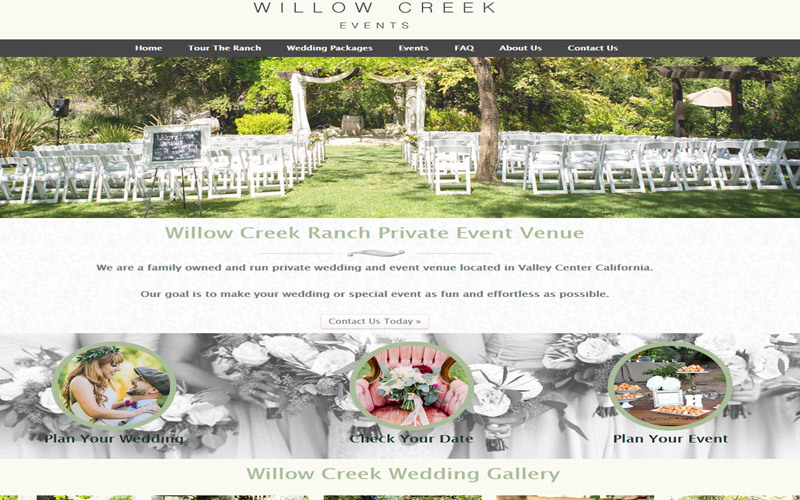 Willow Creek Event Venue is a custom responsive website design for this very unique ranch style wedding venue in Valley Center California to host your wedding or special event your guest will not soon forget. 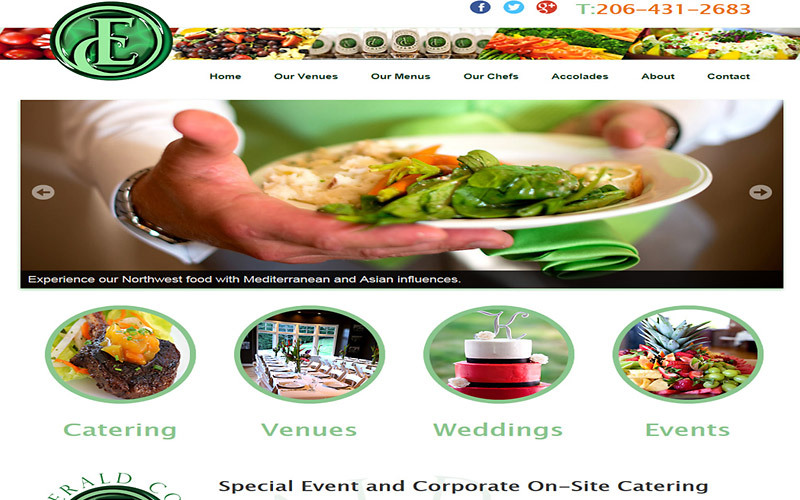 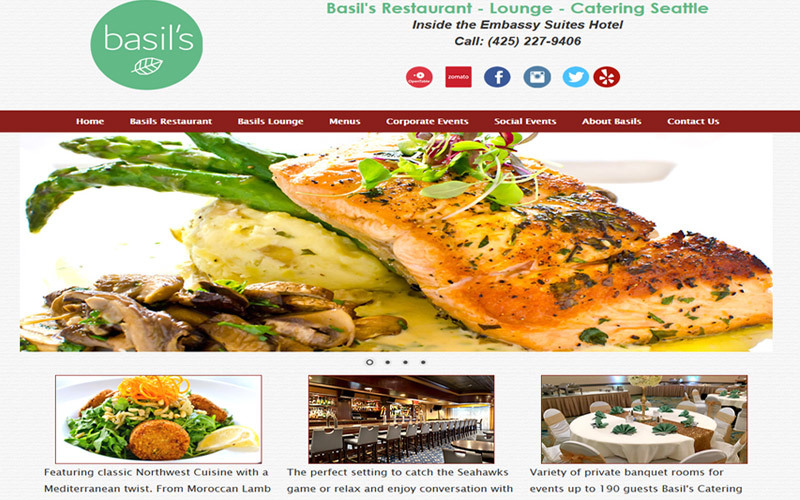 Basils Kitchen Seattle is custom restaurant website design for this unique hotel based restaurant complete with menus, banquet and catering offerings as well as OpenTable reservations. 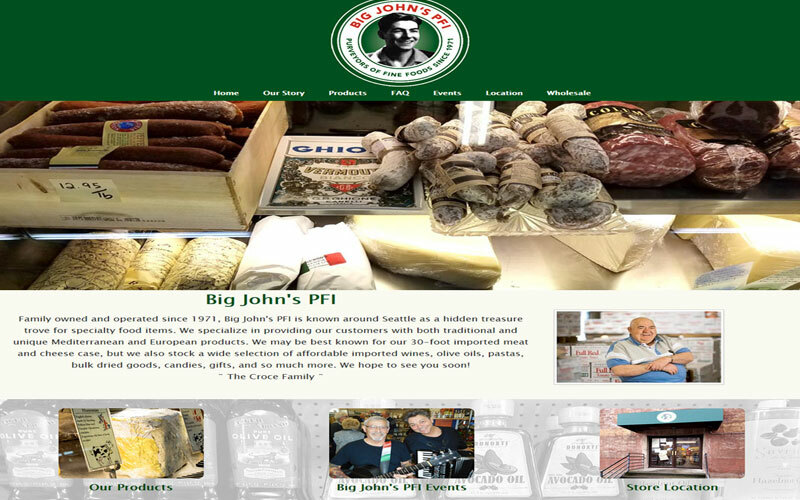 Big Johns PFI is a custom mobile website redesign for this Seattle imported food store, we moved them off a un-usable WIX system and simplified it into a responsive design that's easy to maintain. 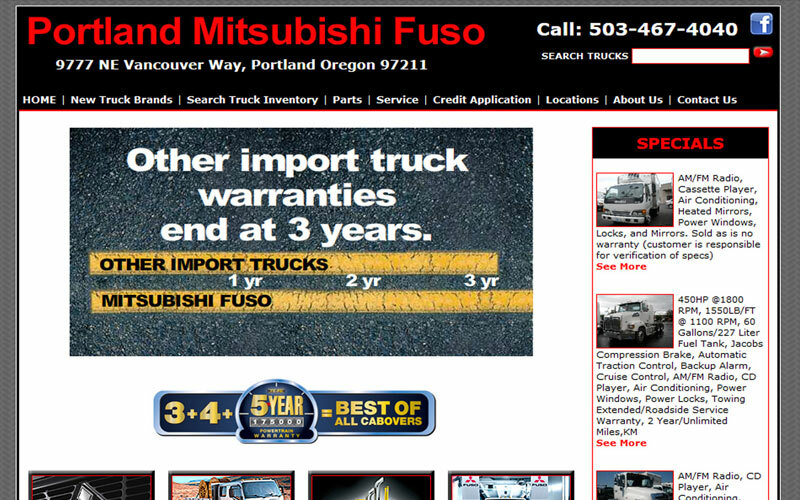 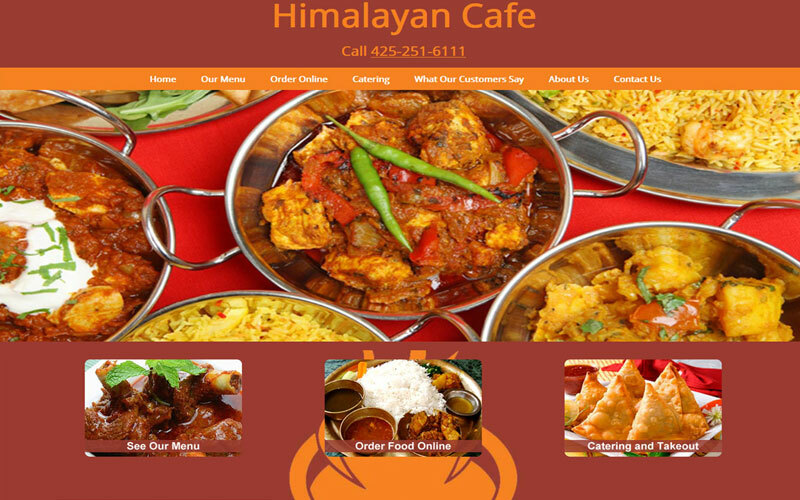 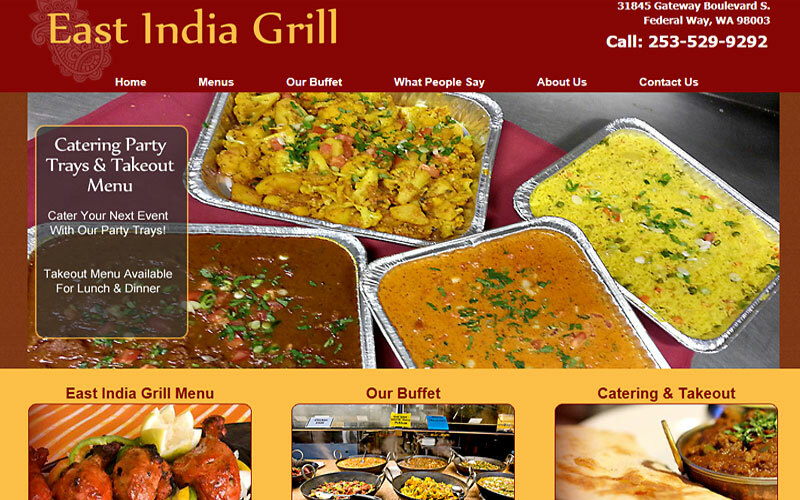 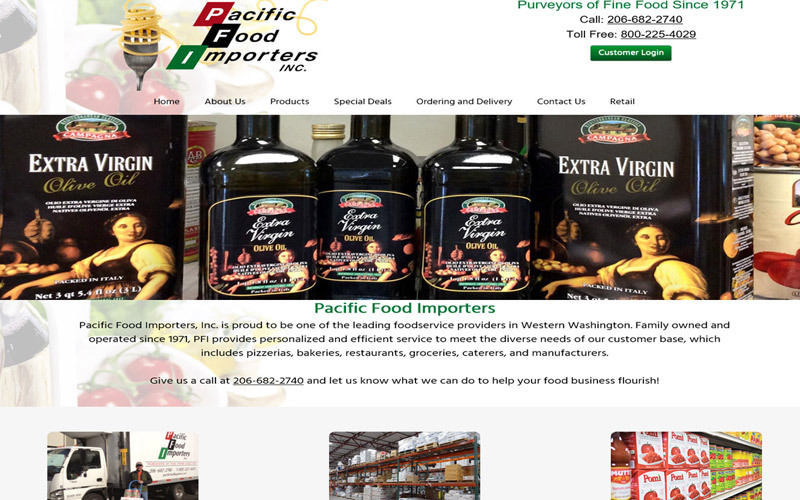 Pacific Food Importers we redesigned into a mobile website for this Kent Washington based imported wholesale foodservice distribution company complete with specials and ordering information. 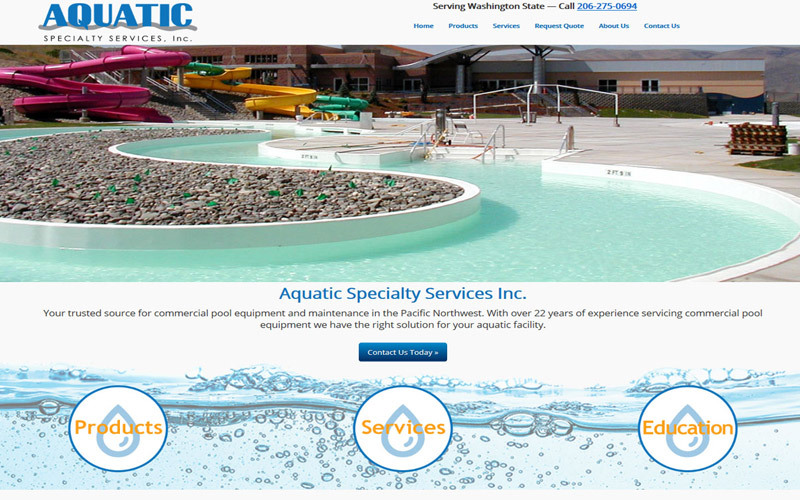 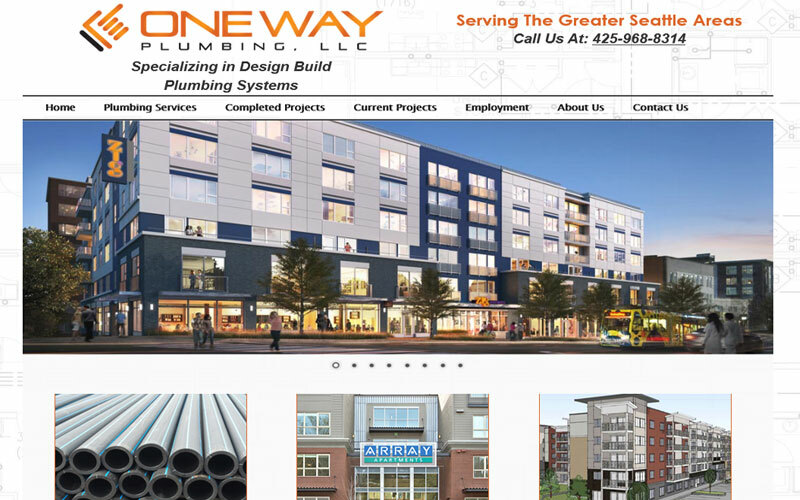 One Way Plumbing Seattle is a custom plumbing contractor website design for a commercial design and build plumbing company complete with services listing, contact map and employment form. 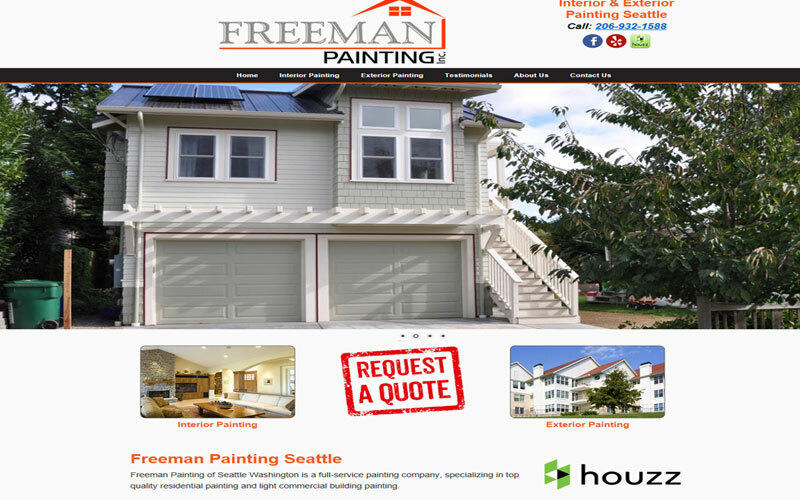 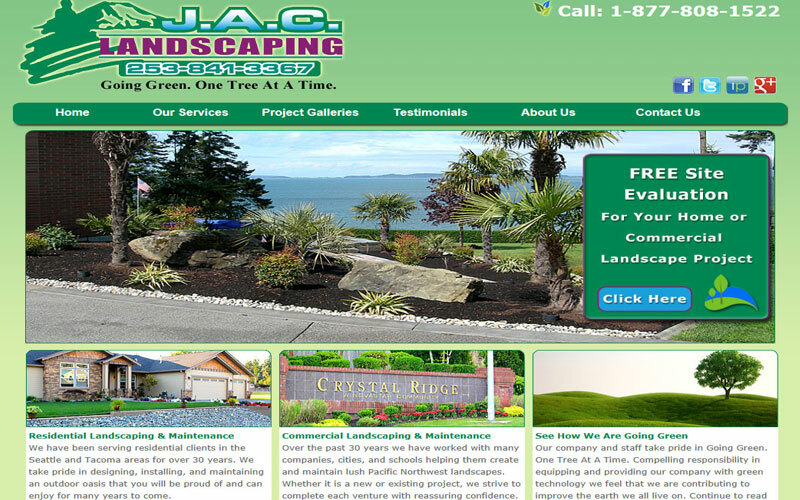 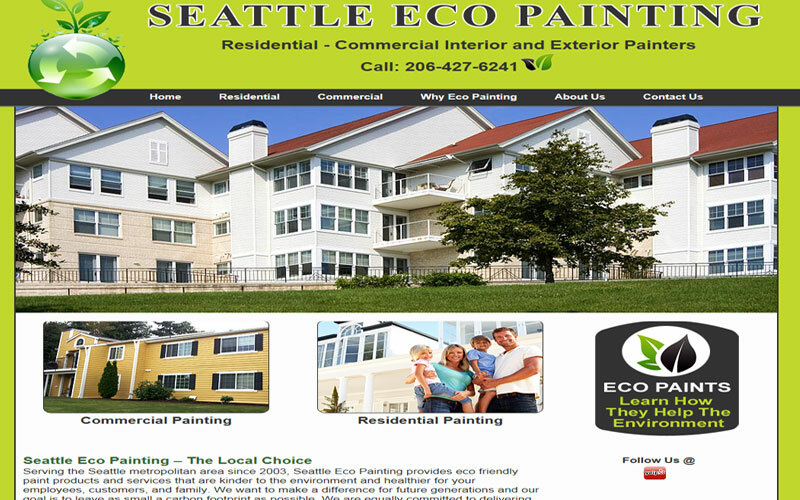 Seattle Eco Painting is a custom website for the Seattle area's leading eco painting company featuring slide show photos and information on why choosing eco paints is the green thing to do. 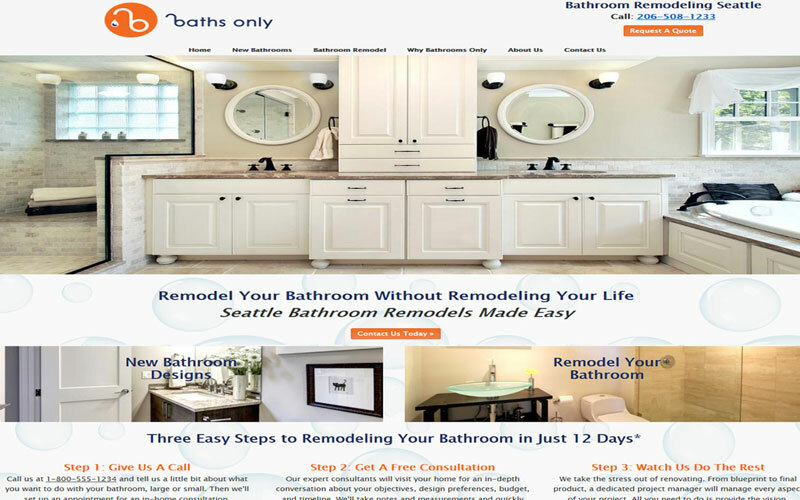 Baths Only is a custom mobile website Bathrooms Only Seattle your complete bathroom contractor for remodels or new bathroom designs. 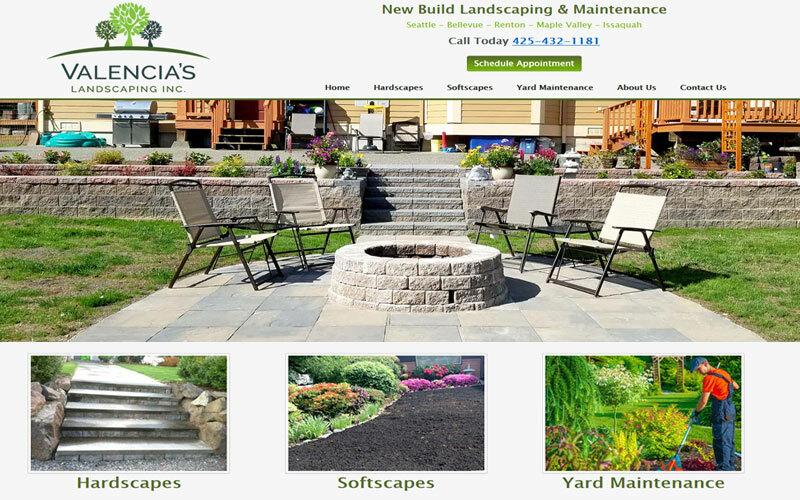 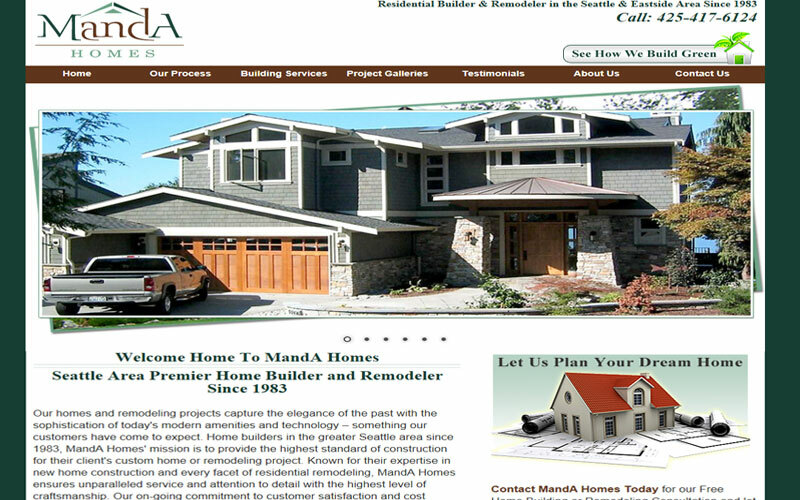 MandA Homes is a new custom designed contractor website by us showing this high end custom home building company's services, extensive photo gallery, testimonials and contact form. 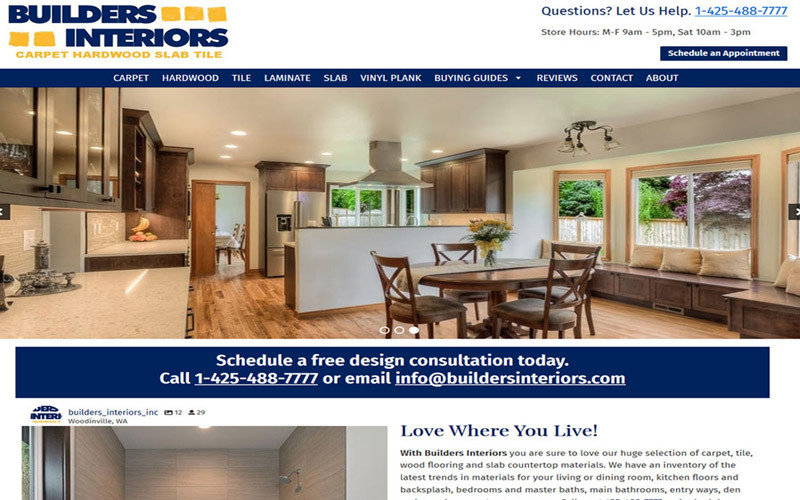 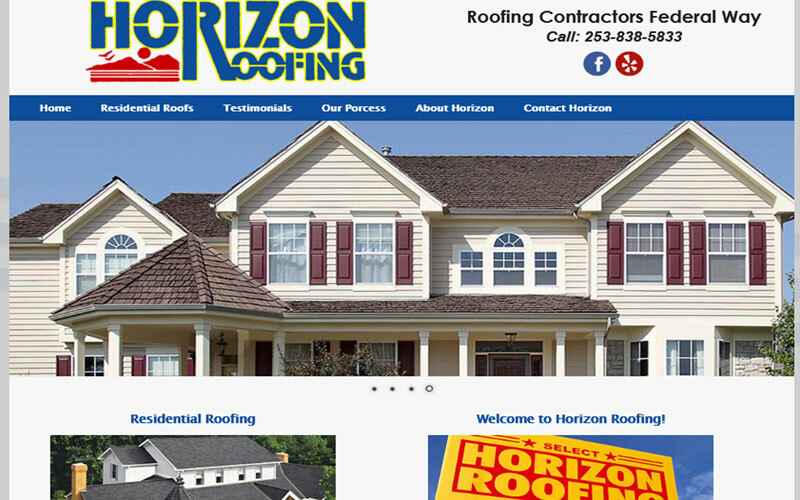 Horizon Roofing is a custom website design for this Seattle area roofing contractor with expanded product offering descripritons, customer testimonials and online estimate form. 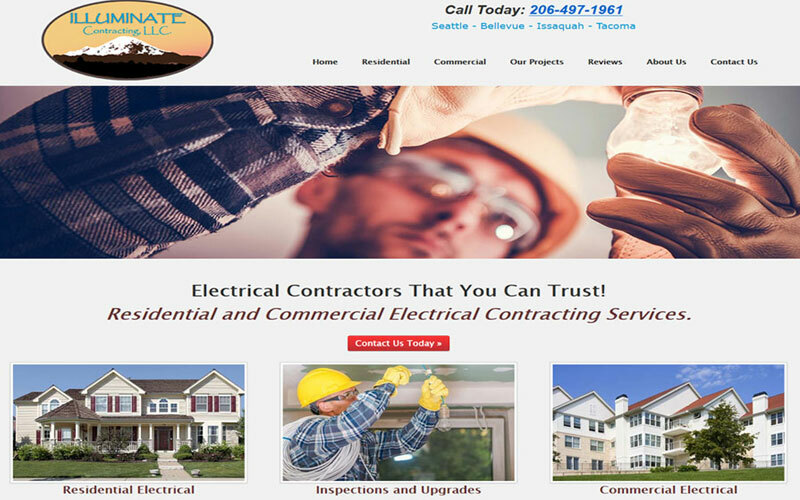 Illuminate Contracting is a custom contractor website design that gives customers an overview of Illuminate's services in residential and commercial electrical complete with a lead generation form. 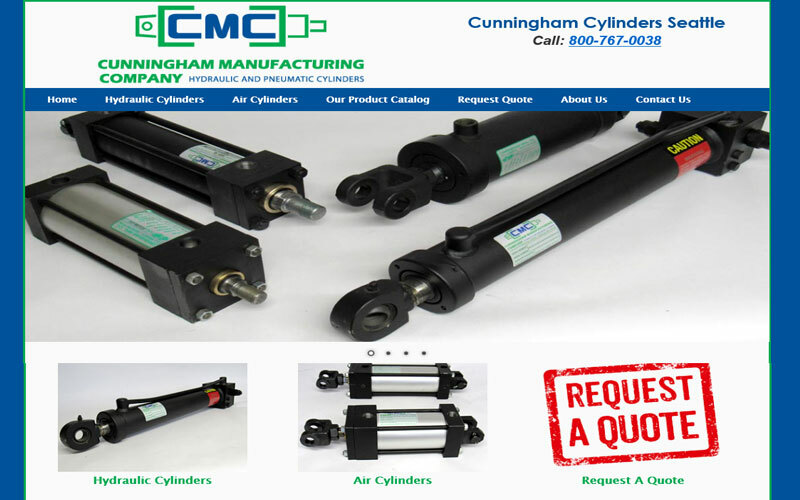 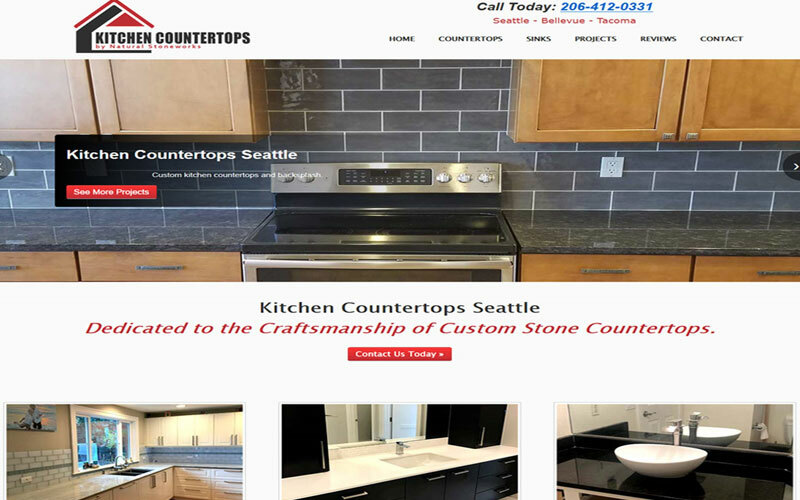 Cunningham Cylinders is a custom mobile website redesign a family owned cylinders manufacturing company in Seattle to show off the high quality products they design for local companies. 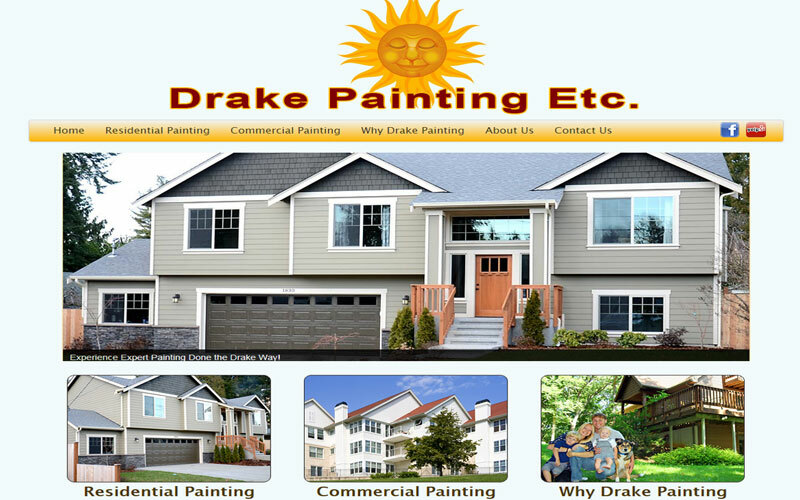 Drake Painting Inc. is an original mobile design using a fully responsive template for this Boise Idaho painting company to include project photos, contact info, accreditations and more. 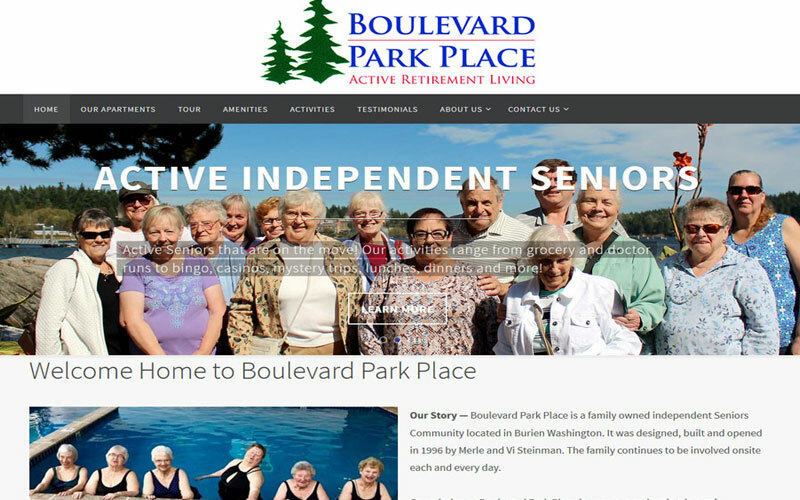 Boulevard Park Place is a family owned senior apartment community located in Burien Washington; this website shows off the unique apartments and landscaped grounds with photo galleries and videos. 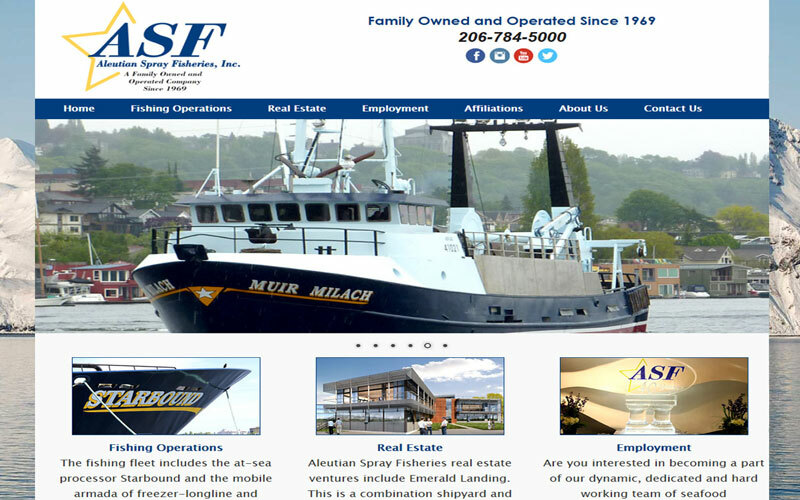 Aleutian Spray Fisheries operates a fleet of fishing vessels throughout the North Pacific Ocean, we did a full redesign complete with fishing boat photo galleries and employment information. 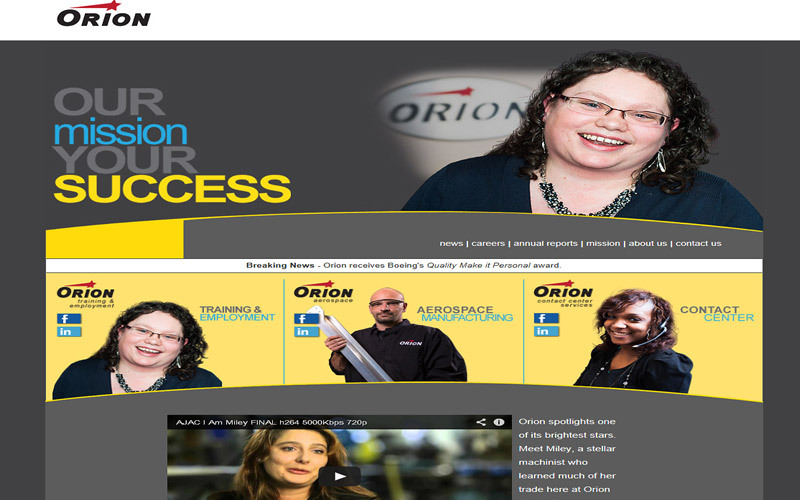 Visiorthophonie Parlez-vous français? 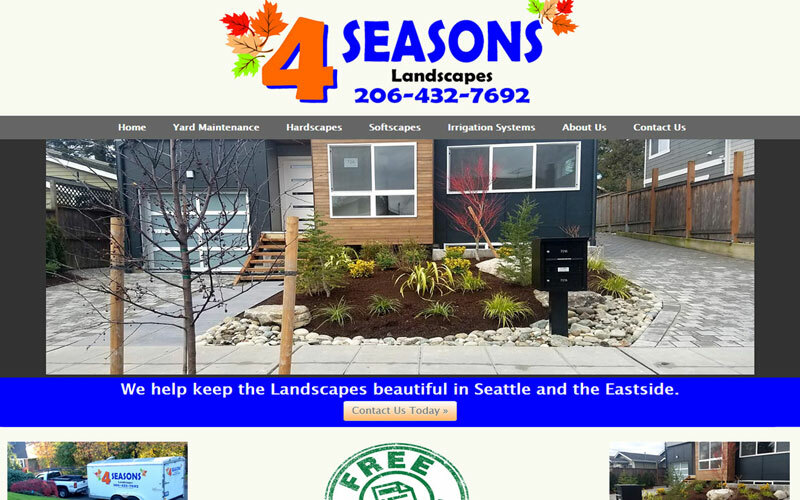 The owner is a French speech therapist who helps students and adults in the USA and abroad with speech therapy treatment via Skype in the Seattle area. 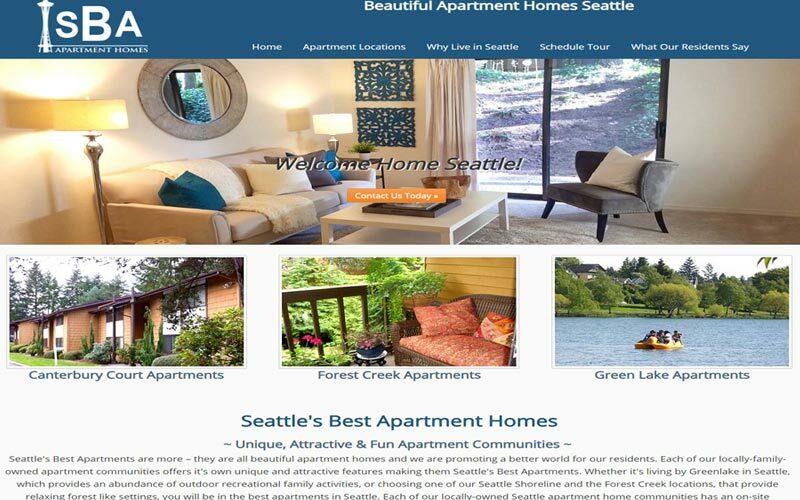 Seattle's Best Apartments is an apartment company portal website for 3 of its apartment locations around the Seattle area complete with photo tours, floor plans and contact forms for each apartment manager. 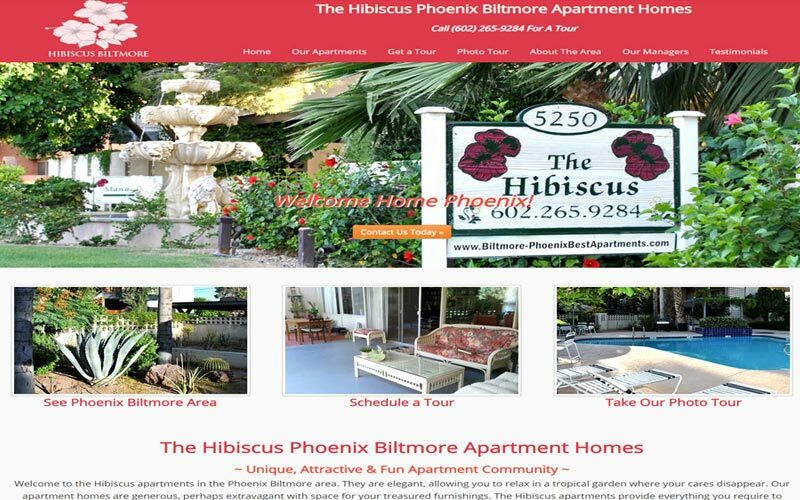 Hibiscus Biltmore Apartments is a stand-alone apartment complex in Phoenix Arizona complete with area information, photo tour, floor plans and contact form to create leads for the manager. 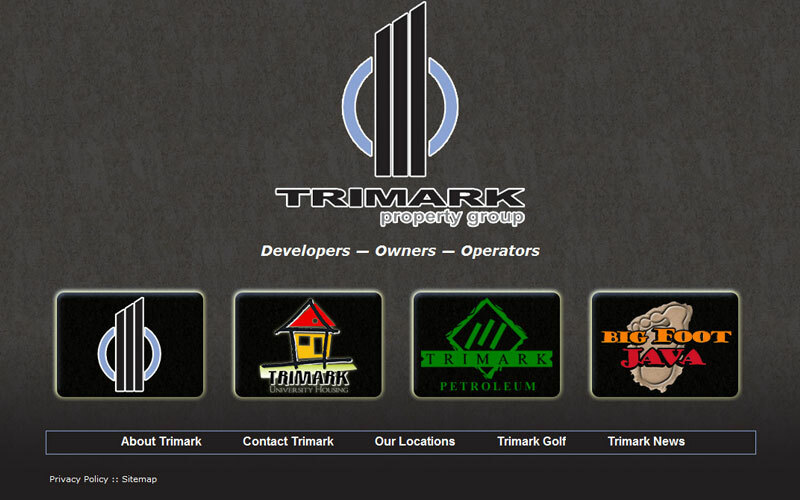 Trimark Property Group is an all custom site that presents a dramatic image for this Seattle area real estate group that owns a number of companies; we did this by utilizing a "portal" style website. 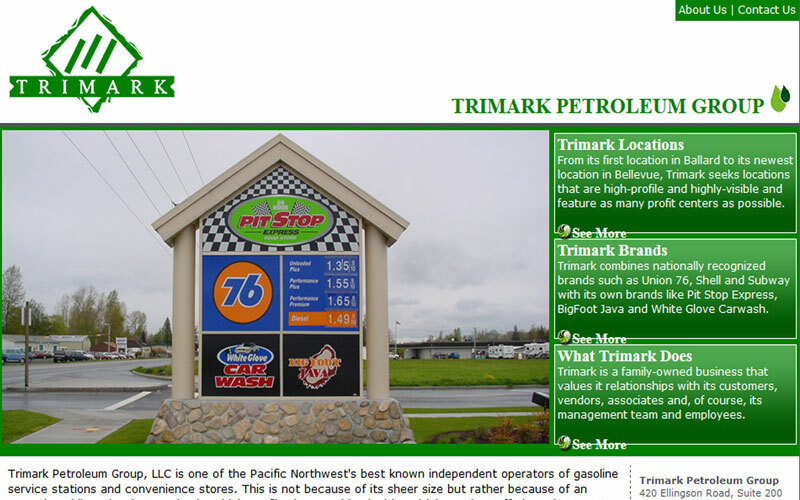 Trimark Petroleum is a website redesign for this independent operator of gasoline service stations and convenience stores all around the Seattle area, specializing in creating commuter service centers. 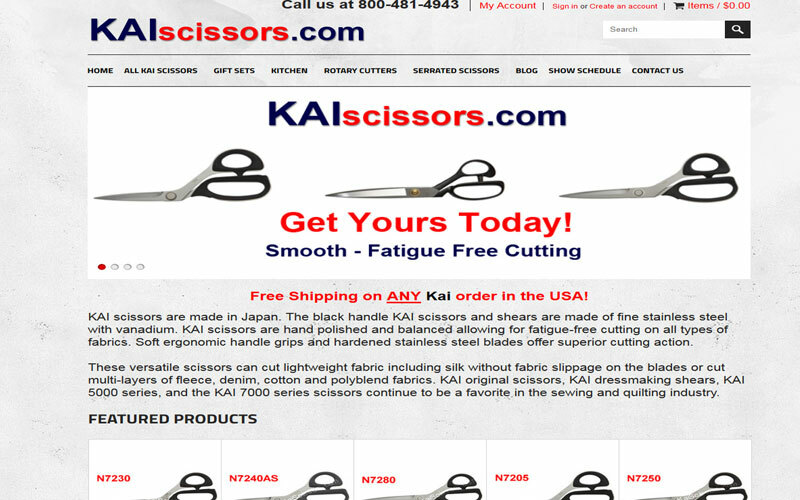 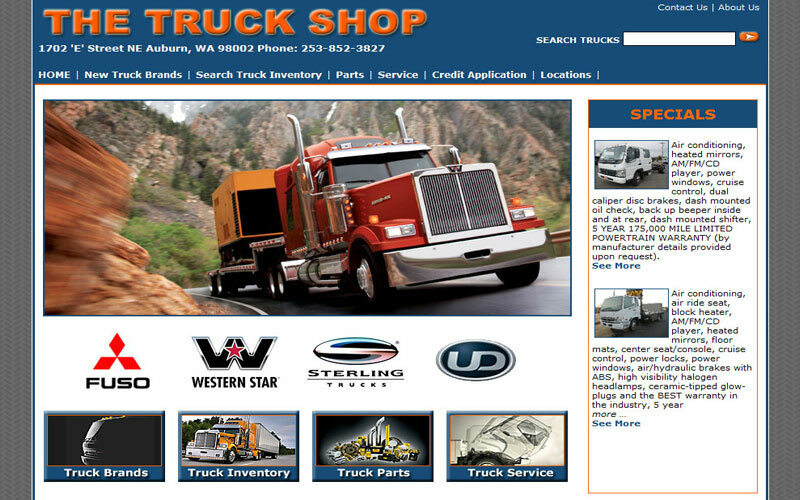 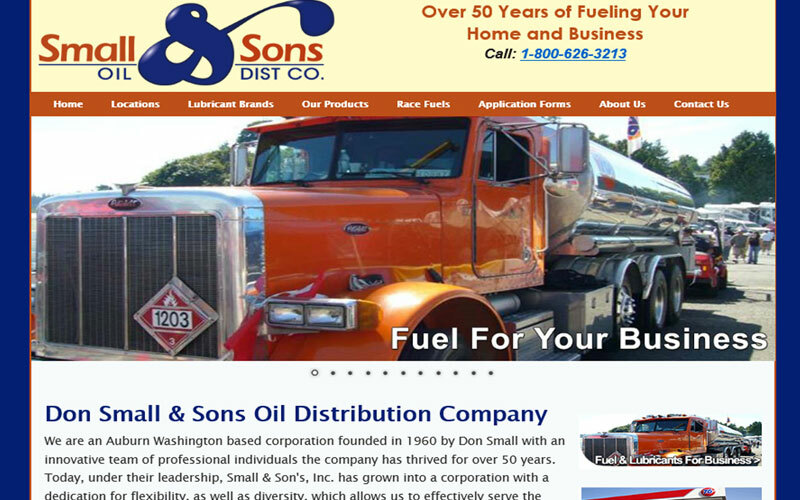 Small and Sons Oil is a custom redesign by us for this Washington based oil company to better present all their product offerings and give customer easy access to online applications for product delivery. 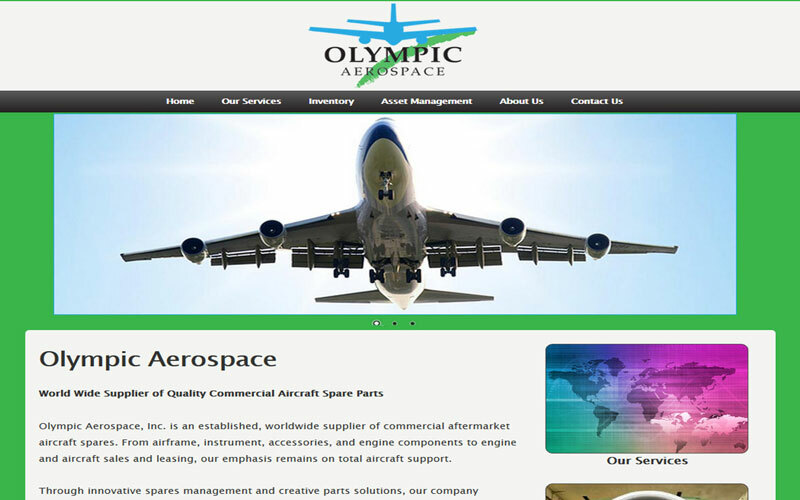 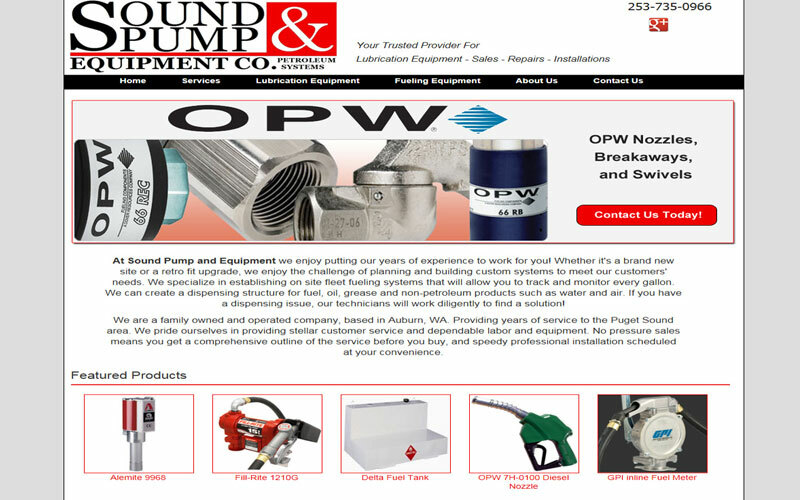 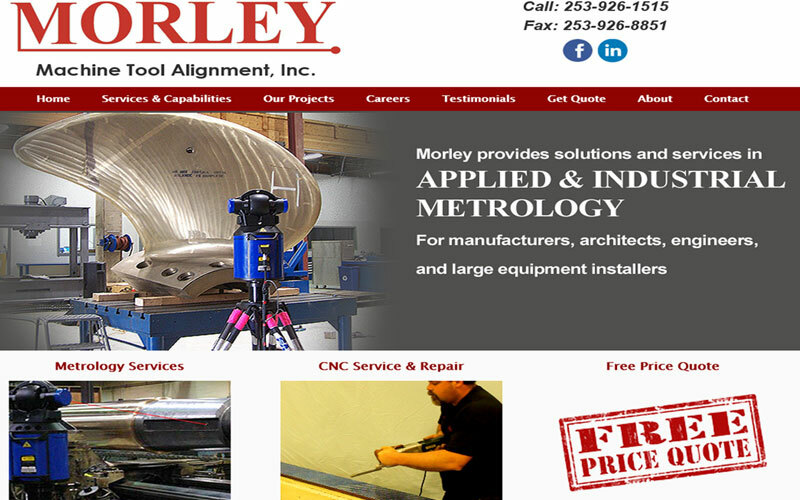 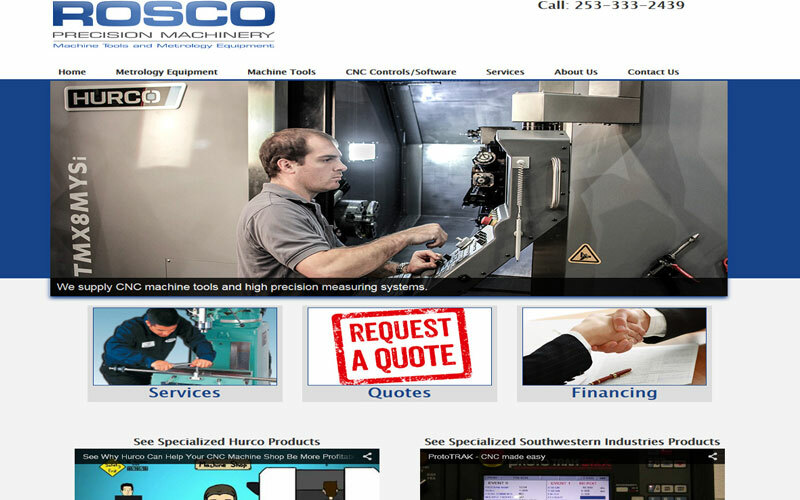 Sound Pump and Equipment is another custom website design for this company to feature their division that sells and services oil and pump equipment products featuring a wide product selection. 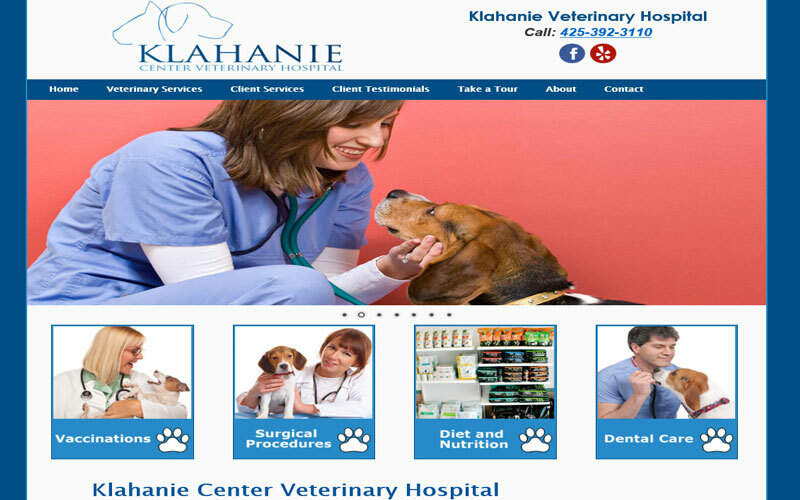 Klahanie Center Vet Clinic is a Veterinary Hospital website design by us with a complete list of veterinary services information, clinic tour, appointment contact form, slide show and more. 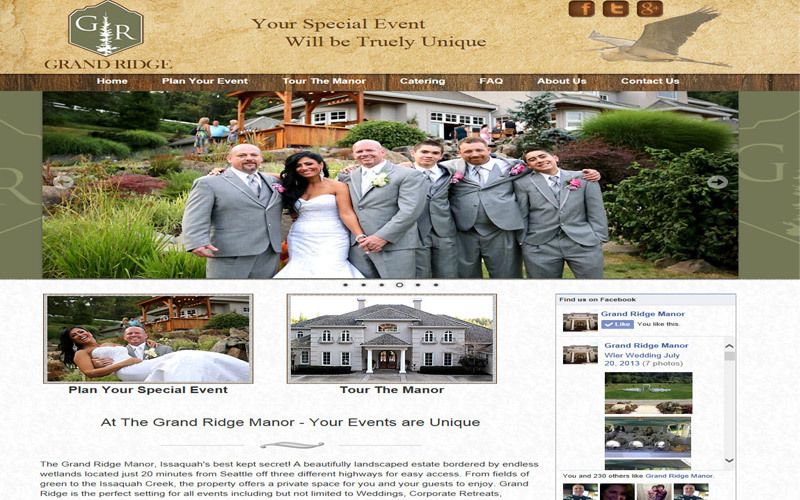 Big Picture Movie Theater is a very unique 21 and up movie theater located in Belltown Seattle - their website features the bar, movie times, tickets online, photo galleries and more. 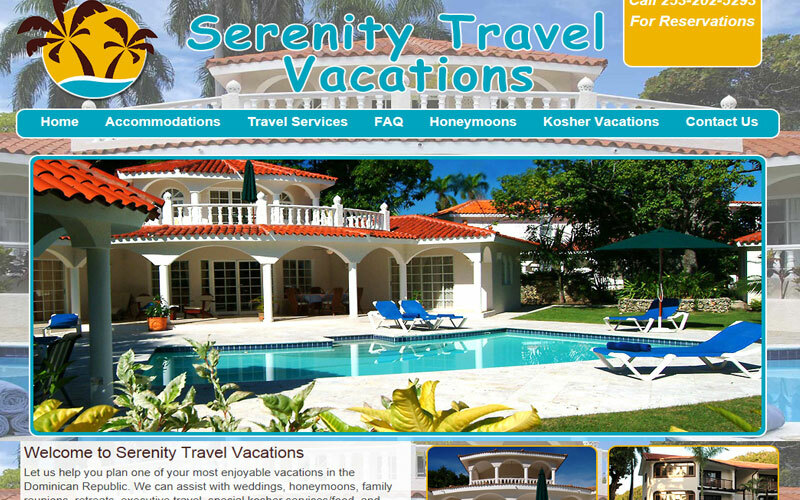 Serenity Travel Vacations is an original web design by us for a local travel company specializing in Dominican Republic Caribbean vacation resorts as the ultimate vacation destination.